The South Lake / Minneola Scenic Trail is located in Clermont, FL and offers one of the most scenic and unique biking experiences in the area. With views of nearby lakes and miles of trail, it is well worth the drive no matter where you live in Central Florida. The South Lake / Minneola Scenic Trail is located in Clermont, FL and offers one of the most scenic and unique biking experiences in the area. With views of nearby lakes and roughly 10-miles of trail, it is well worth the drive no matter where you live in Central Florida. The South Lake/Minneola Scenic Trail itself is only a 9.5 mile trail. Even though the trail is relatively short the starting point is at the Killarney Station which allows you to connect with the West Orange Trail. By combining these two trails you end up with a 30 mile stretch of continuous trail. This is a great option for people interested in connecting the areas of Minneola, Clermont, Oakland, Winter Garden, Ocoee and Apopka all into one ride. If you are up for a big day of riding you can ride from Lake Minneola to the end of the West Orange Trail and back for a combined 60 mile ride. The South Lake/Minneola Scenic Trail is paved and 14 feet wide allowing for easy passing through more populated areas. 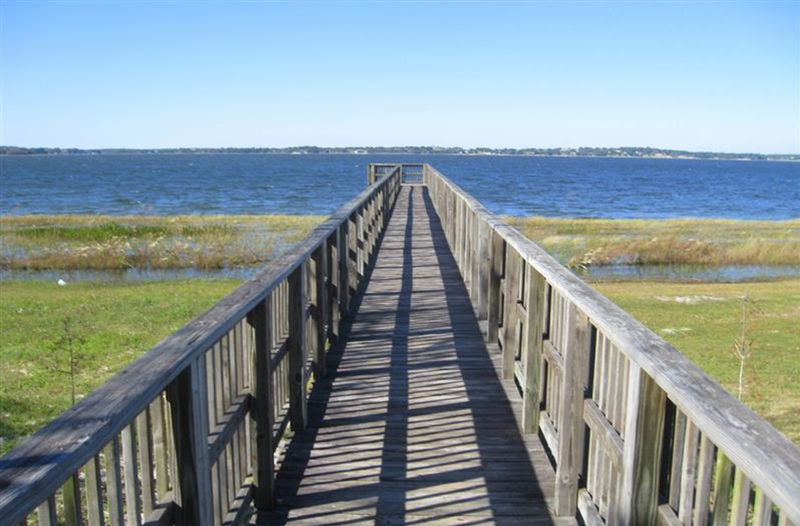 The trail takes you past Lake Minneola and other lakes, giving you excellent views and plenty of reasons to stop and relax. The most unique and challenging part of this cycling trail is the elevation. Florida is not known for its hills, but Clermont has some of the highest points in the state. This elevation adds a degree of difficulty that advanced cyclists will enjoy compared to the relatively easy trails in the rest of the state. Most of the South Lake/Minneola Scenic Trail is unshaded. Due to the lack of shade, you will want to take precautions against the sun. Make sure to wear sunscreen and bring plenty of water. You will be able to refill your water bottles at the Clermont Waterfront Park on Lake Minneola. Advanced cyclists will be particularly happy with the elevations and climbs, but that does not mean that beginners and families won’t have fun. If you are a beginner or just want to take it easy on your ride just make sure you stop for breaks along the way. South Lake/Minneola Scenic Trail. The starting point you pick will largely depend on where you live and what your plans are for the ride. 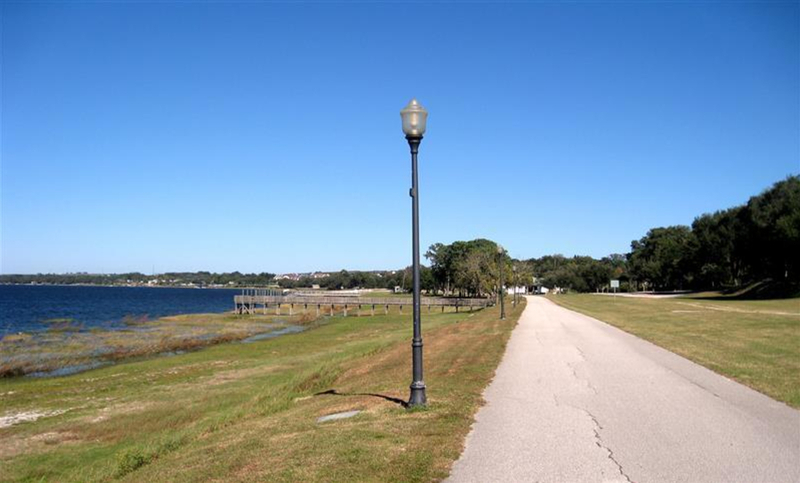 If you are interested in biking from the end of the South Lake / Minneola Scenic Trail and connecting to the West Orange Trail, a good place to park will be at the Clermont Waterfront Park. 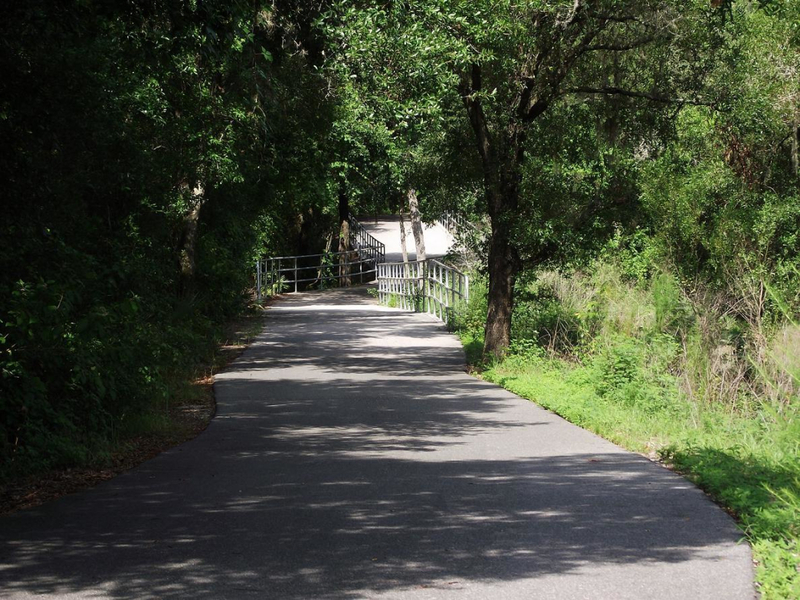 Parking is also available at the Minneola Park Trailhead as well as the Killarney Station Trailhead where you will connect with the West Orange Trail by heading east.